Is there a particular song that moves you? I grew up in a small Baptist Church in Southeastern Oklahoma and there are certain hymns that move me. If I hear Rock of Ages or Just a Closer Walk with Thee, it takes me back to a simpler time and place. When I started writing my book, this was a driving factor. Could I write something that touched people’s hearts? I am not a big listener to country western music. However, there is a David Allan Cole song called The Ride that I like. In the song, a hitchhiker who is on his way to Nashville to make it big gets picked up by a stranger. I love those lyrics. The lyrics are an excellent example of the creative process of writing a good book. Can you make folks cry when you play and sing? One of my favorite childhood books was Where the Red Fern Grows. 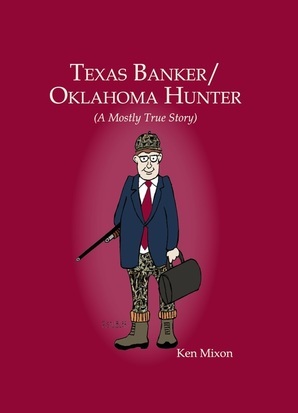 It is the story of a young boy in eastern Oklahoma who raises two coonhounds, Dan and Little Ann. It is a wonderful story that I must have read six times when I was growing up. I cried each time when the boy’s coonhounds died. As I got into my teens, I became an avid reader of Patrick McManus who wrote hunting and childhood stories for Outdoor Life. Patrick has the ability to make you feel like you are there in his stories as he runs the rapids or eats some bad jerky. He is a wonderful writer. When I started writing, I wanted to be able to touch people’s emotions like that. I want the reader to be able to sense my frustration as I try to figure out a loan request. I want the reader to feel the ground pounding from the buck approaching. I want the reader to smell the smoke from the fireworks. Have you paid your dues? I am currently President and CEO of City National Bank in Corsicana, Texas. What some may not know is that I have paid my dues to become a president of a bank. Believe me; I have paid my dues as a banker. Can you moan the blues? One of the more difficult things in writing was to be able to accurately describe what I wanted to detail while keeping the story narrative moving. One of my main objectives in the book was to tell stories as if we were standing around a fire. I also wanted the stories to be straight forward enough so that they could be read to a ten year old and he or she could understand. This simple approach was easier with the hunting and childhood stories than with the banking stories. When I got into the banking stories, I wanted to refrain from using bank jargon and tell the story in a straight forward manner. I think I accomplished my goal in that area but it was difficult at times. Can you bend them guitar strings? I have spent my life as a banker and as a hunter and fisherman. I know these subjects. Writing about them and hopefully making the stories entertaining was a different task than being a banker or hunter. What I concentrated on was how I felt and what the outcome was. As many tries, I think I accomplished what I meant to put down on paper. You will have to decide for yourself if I hit a sour note or two. Boy, can you make folks feel what you feel inside? If you read my book, I hope you will feel what I felt in my stories. I put my heart and soul into the stories. ‘Cause if you’re big star bound let me warn you it’s a long hard ride. I had a business degree and a desire to succeed when I started my banking career forty years ago. My wife and I started out with no money and no assets. We were so poor that we barely could afford our first house which cost $19,500. Over the years, it has been an up and down ride. I have worked for banks where the work I did was appreciated but that has been more the exception than the rule. I have been let go and been out of work. It has been, at times, a difficult path. One of the things I learned years ago is that it is not what you accomplish, it is what you overcome. My wife will tell you that I just don’t have quit in me. I just keep coming until I get done with what I set out to accomplish. When I was told early on that I could not become a lender, I just kept coming. When I was told I could not run a bank, I would not quit. Eventually, I realized my goal to run a bank as president. That is what I think the ghost of Hank Williams was saying in the last line. It can be a hard road but you have to keep coming, whether you are in your career or you are writing. Ken Mixon was raised in Atoka, Oklahoma and graduated from Atoka High School in 1974. 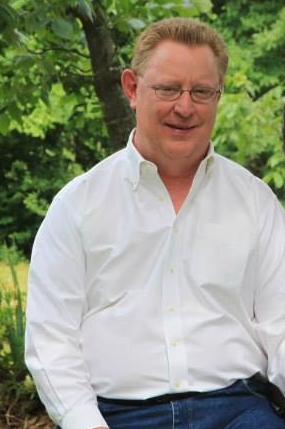 He attended Oklahoma Baptist University and graduated in 1977 with a degree in business administration. He has an extensive career in banking that began in 1977 as an auditor with First National Bank in Oklahoma City. From there he worked at a variety of different banks and concluded when he became President and CEO of City National Bank in Corsicana Texas, where he remains today. Ken is a member of First Baptist Church in Richardson and is very proud to be a Rotary member in Corsicana. One of his biggest passions is being involved in selecting the high school senior to receive the Corsicana Rotary Scholarship each year. Ken is a big fan of the Dallas Mavericks, Dallas Cowboys, and Oklahoma Sooners. He enjoys hunting and fishing and being with family and friends.